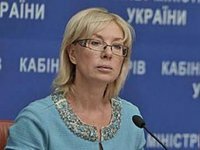 The State Employment Service of Ukraine is ready to offer about 50,000 job openings to internally displaced persons (IDPs) who have fled from the anti-terrorist operation (ATO) zone in Ukraine's east and Crimea, Social Policy Minister Liudmyla Denisova has said. "Our employment service can offer them about 50,000 jobs for getting employed," she said at a briefing in Kyiv. The number of IDPs from the east of Ukraine and Crimea is currently exceeding 300,000 people, she said. The government is also planning to engage IDPs in the Wall (Stina) project on the Ukrainian-Russian border, under which many new jobs are expected to be created, she added.